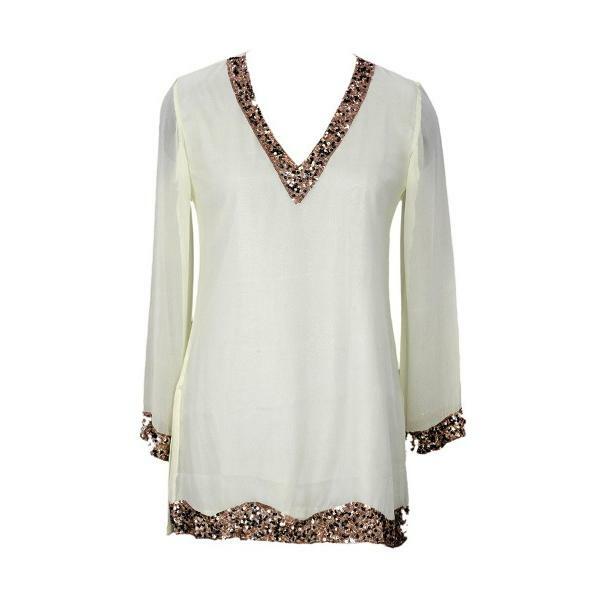 This tunic looks like a delicate beauty but will make you stand out in the crowd making the wearer look stylish and trendy. It features an embroidered pattern on the neckline and on the hem making this dress a must have collection in your stylish wardrobe. 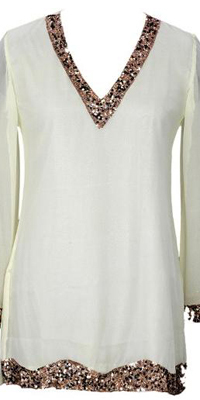 The wrist on the sleeves also features an embellished design.